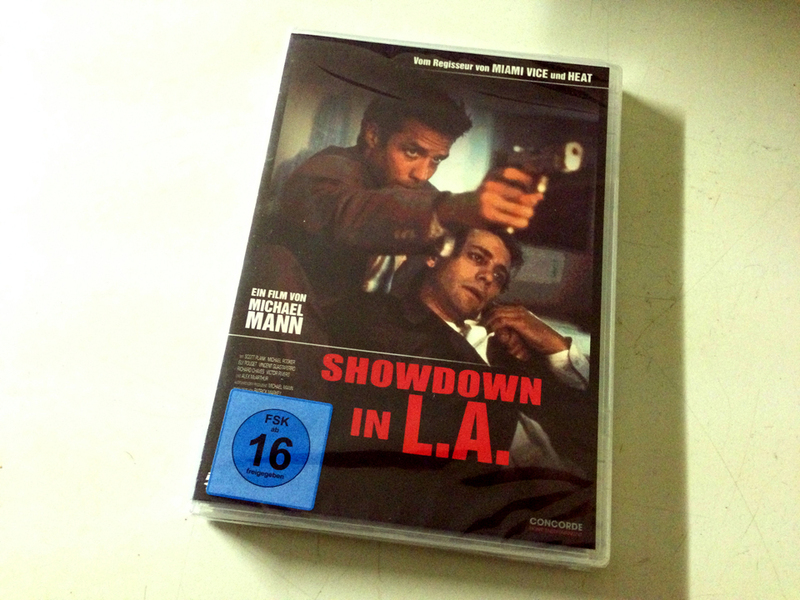 L.A. Takedown is a 1989 B-movie directed by Michael Mann and featuring a C-list cast of actors. Six years later, it served as the blueprint for Mann’s A-list remake Heat – starring Al Pacino, Robert De Niro, Val Kilmer and Jon Voight. For years, I thought it wasn’t worth investing the time to watch L.A. Takedown since Heat, even considering all the dramaturgical flaws in it, was a great movie. Watching L.A. Takeover for the first time yesterday, however, I found my mind blown. The film is hard-boiled and fast-paced; moodwise it feels like a standout episode of “Miami Vice” – only longer and shot in Los Angeles. Give it a try. The DVD only costs €4.90 at www.amazon.de and comes with the English score included—or you can get it from amazon.com for $492.40.